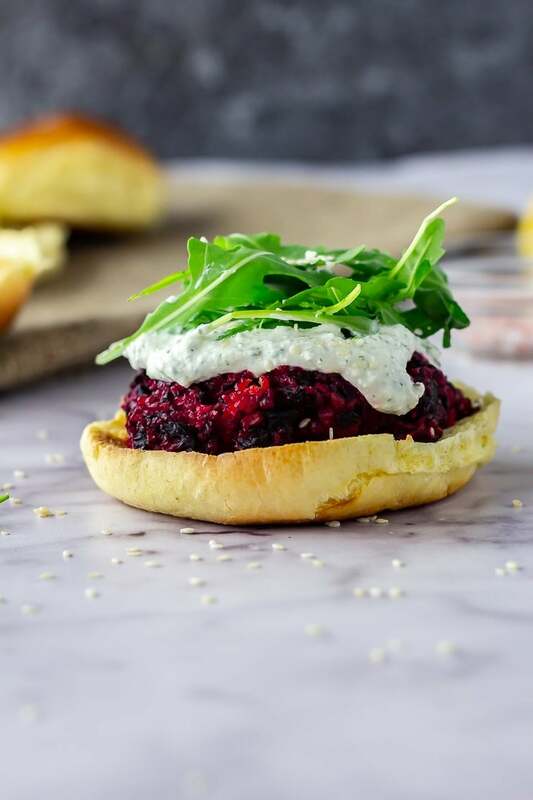 These roasted beetroot burgers are filling, healthy and perfect for your autumn dinner. 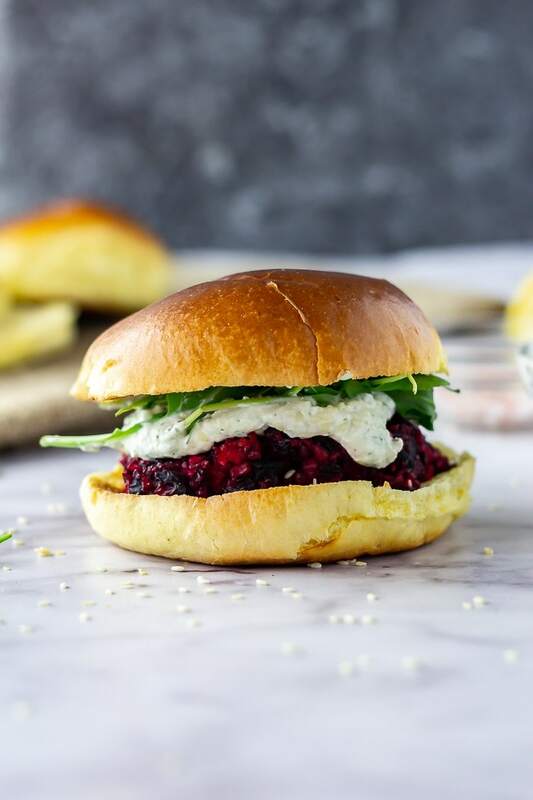 Smear with a big dollop of whipped feta and serve in a toasted brioche bun. 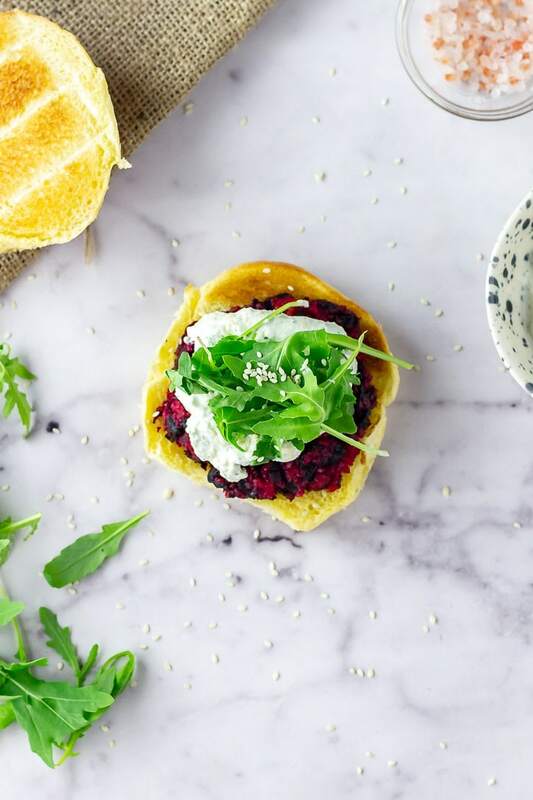 Is there anything more stunning than beetroot? It’s just one of those amazing things that you can’t quite believe it just grows like that with that incredible colour. I’ve decide beetroot is something I don’t use nearly enough so this autumn I’m going all out on the beetroot. So I made a beetroot salad a couple of weeks ago and it was pretty life changing. Before that I hadn’t really cooked with much beetroot and I quickly discovered that it’s totally worth the dramatically stained hands. And yes I know I could wear gloves but if you know me at all then you know I would never bother with that kind of nonsense. Anyways, after making that salad I became a little obsessed with making more beetroot recipes because it seems like the most excellent vegetable to use now that all the yummy summer ones are going out of season fast. Burger Buns – Brioche preferably because is there anything else? 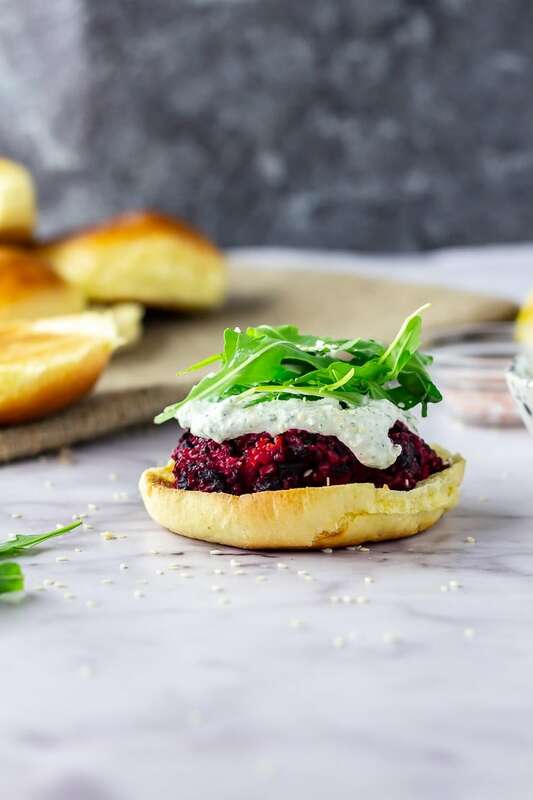 First off, the beetroot gets all roasty in the oven which helps bring out that amazing sweetness before you’ve even started making the burgers. 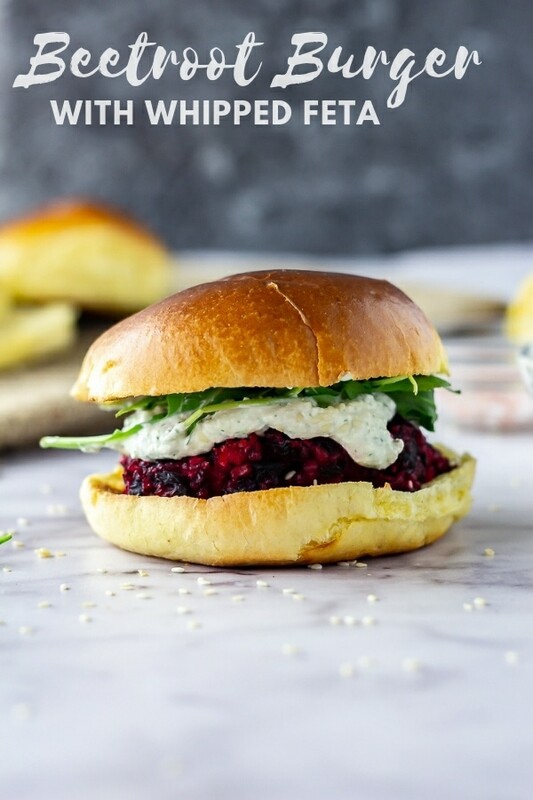 Then there’s obviously the superfood-ness of the beetroot but I added in some bulgur wheat in there too to get that burger texture and make them even more filling which is always good in my book. After that you’ve got a topping of the most incredible herby whipped feta which is honestly so good. So good that I ate half of it with crackers while I was waiting for the burgers to cook. These burgers are also great for leftovers. 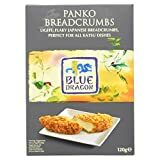 I loved them for lunch the next day and they lasted really well even fully assembled and wrapped in foil in the fridge. I even found these burgers so filling that I was happy to go without a side but you could definitely make some fries to go with the burgers. Even better, serve any extra whipped feta on the side for dipping. You won’t regret it. Heat the oven and roast the beetroot with oil and salt and pepper until tender. 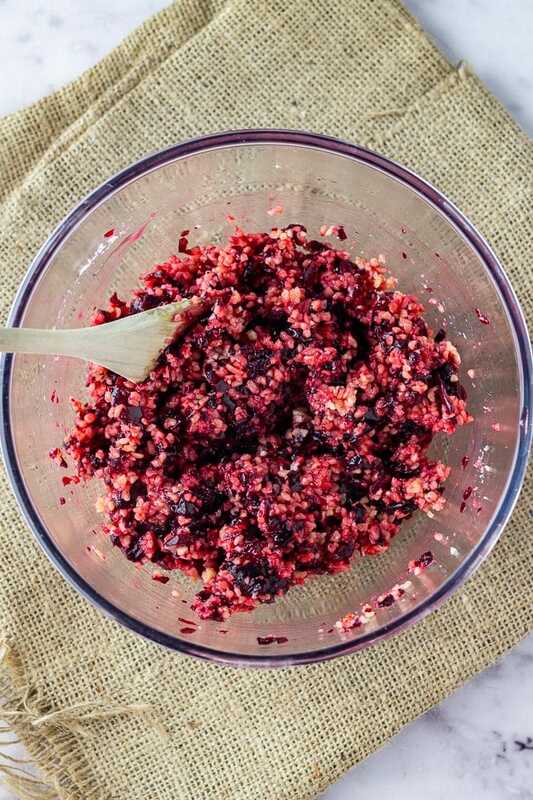 Place the beetroot in a food processor and pulse a few times then place in a large mixing bowl with the bulgur wheat, egg, garlic, breadcrumbs, oil, lemon juice and chilli flakes. 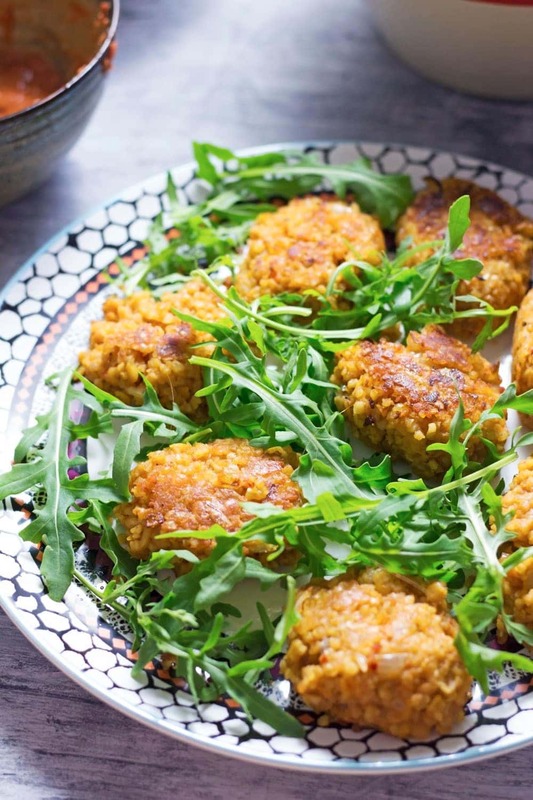 Shape into patties and place in the oven for half an hour. 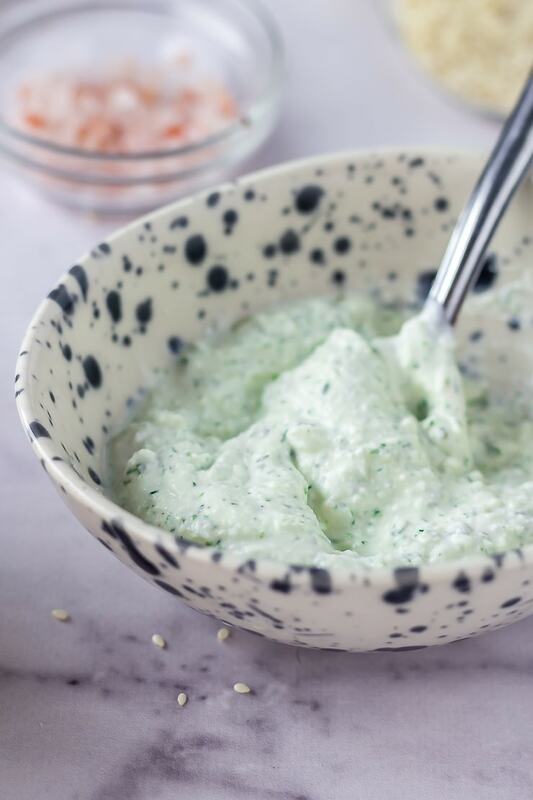 Make the whipped feta by putting the yoghurt and feta in a blender with the herbs and pepper and blend until smooth. 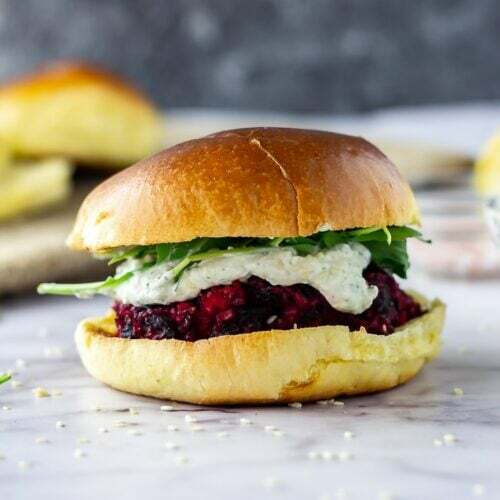 Serve the burgers topped with the feta and rocket in a brioche bun. Oh just look at that colour. 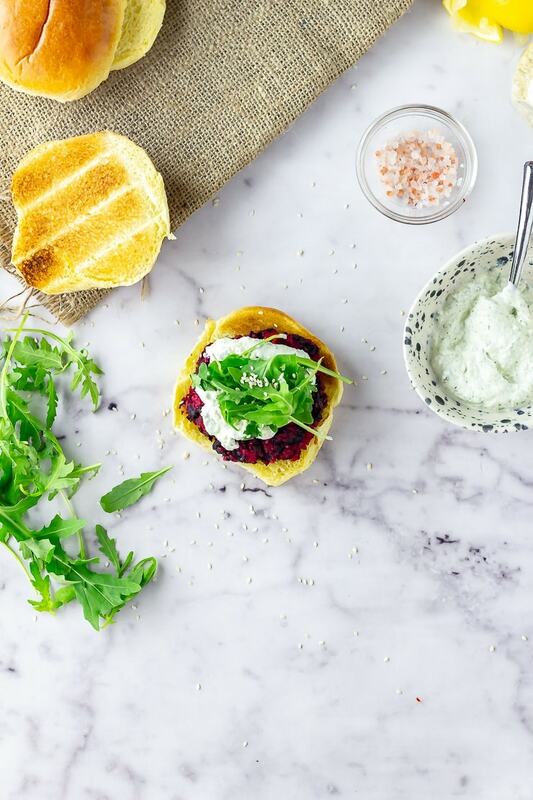 I just cannot get enough of that pink burger with the slightly green whipped feta and the extra vibrant green rocket. Want more? 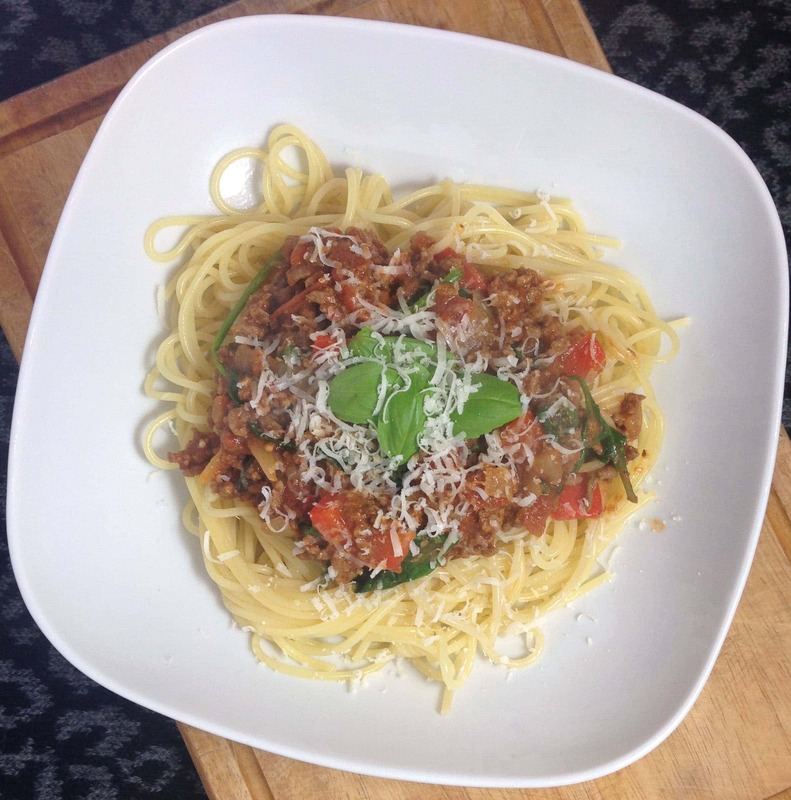 Get all my other vegetarian recipes before you go! 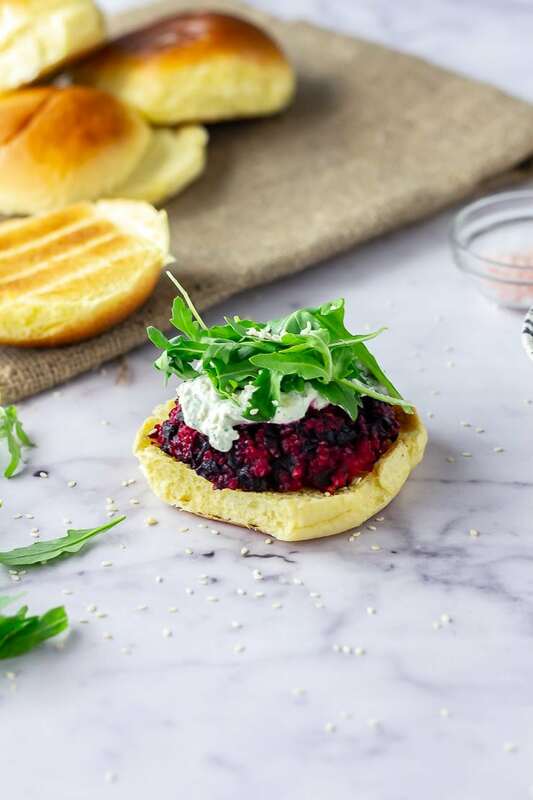 WONDERING WHAT TO DO WITH THE LEFTOVER INGREDIENTS YOU’VE GOT FROM MAKING THESE BEETROOT BURGERS WITH WHIPPED FETA? Heat the oven to 200°C/400°F. 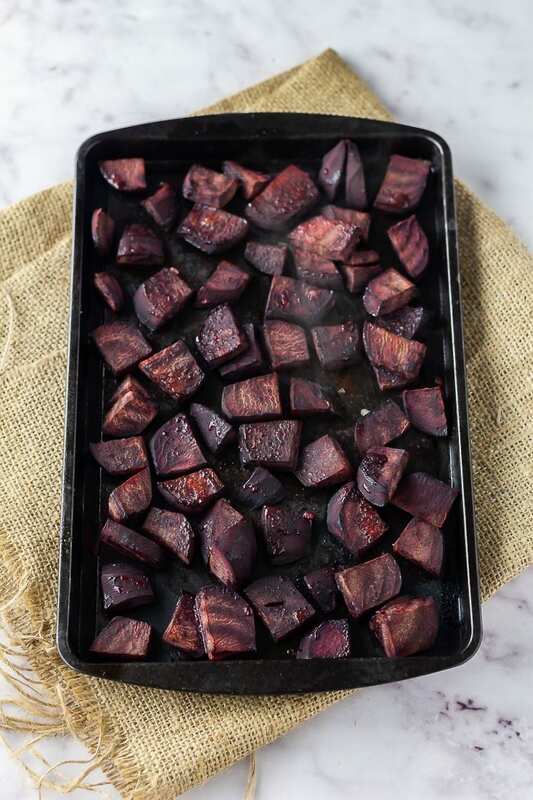 Spread the beetroot on a baking sheet, drizzle with oil and sprinkle on salt and pepper and roast for 30 minutes. Once the beetroot has finished cooking leave to cool for a couple of minutes then place in a food processor and pulse a few times until chopped but still a little chunky. 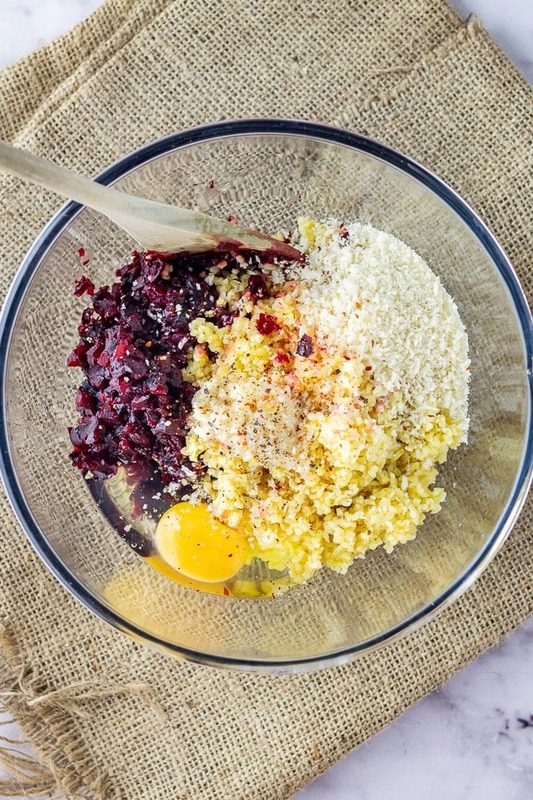 Put the beetroot in a large bowl and add the bulgur wheat, egg, garlic, breadcrumbs, oil, lemon juice, chilli flakes and salt and pepper. Mix until completely combined. Shape the mixture into four patties and place on a lined baking sheet. Place in the oven and cook for 30 minutes, flipping halfway through. While the burgers are cooking make the whipped feta. 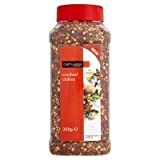 Put the yoghurt and feta in a blender and mix until smooth, add the herbs and pepper and blend again until smooth. 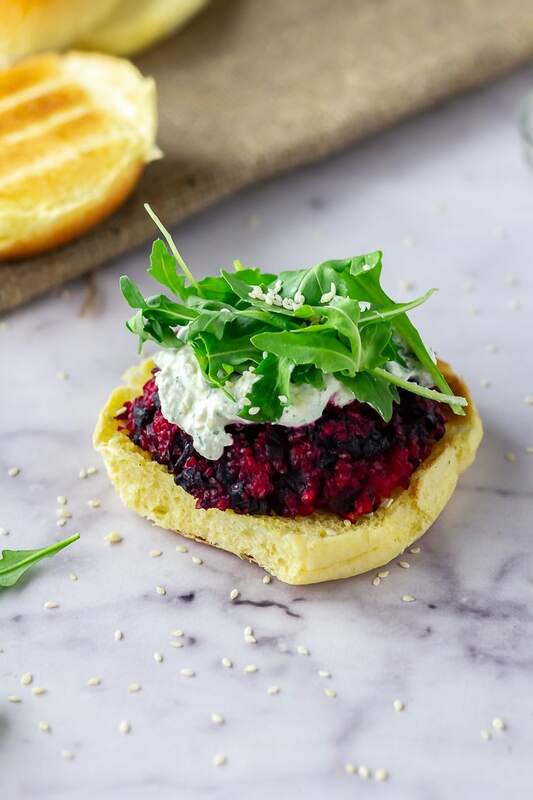 Serve the burgers in brioche buns topped with the whipped feta and rocket leaves. Haha it’s not for everyone but I think the flavour in this burger could be enough to convert you!! 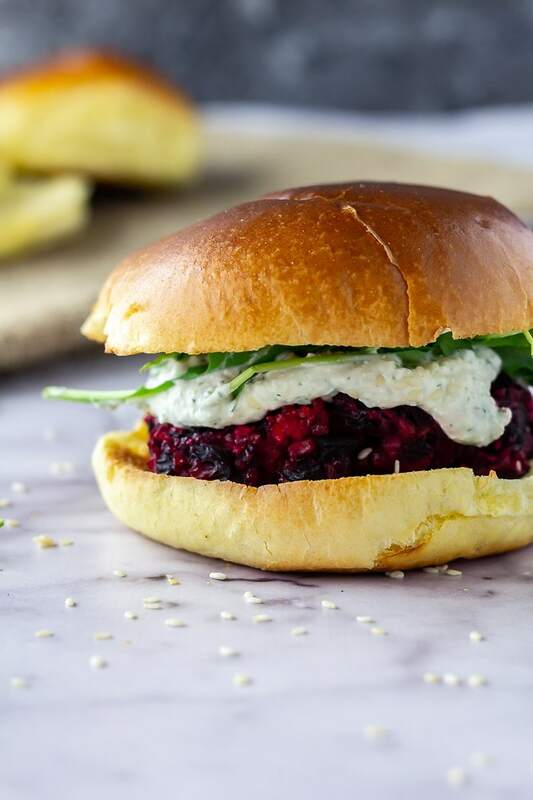 These beetroot burgers look amazing! 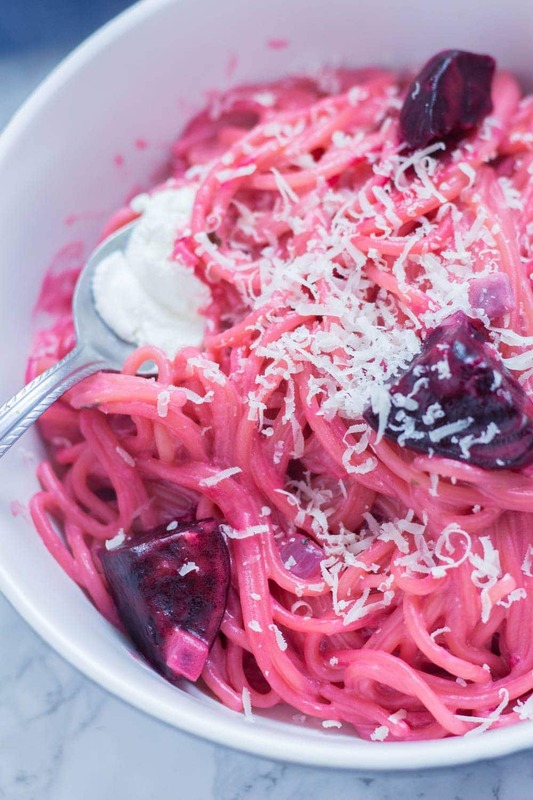 I also don’t use beetroot much but this is a recipe I’d love to try! And whipped feta! Yum! I keep trying beets, but I haven’t liked them too many ways. This just might be the recipe that gets me to eat them on a regular basis! That whipped feta is perfect on top too! Ooooh these sound fantastic!! And so so pretty to look at. I NEED to try that whipped feta! Thanks for the inspiration! These burgers look amazing!